The process of qualifying suppliers for the modernization project of the Rosana Hydroelectric Power Plant, operated by CTG Brasil, is open from this Thursday, April 18th. The HPP is located on the Paranapanema River, between the municipalities of Rosana (SP) and Diamante do Norte (PR). The announcement with all contact information, requirements and conditions to participate in the qualification process is available here. Also, access the Application Letter for Pre-qualification, the RFI Check List and the Q&A Form. The documents are available in English only. The deadline for sending the complete documentation is May 3, 2019, until 4:00 p.m. (Brasília time). On April 14, the Jupiá HPP, one of the most important in Brazil, celebrated 50 years of operation looking to the future. The powerplant, located between Castilho (SP) and Três Lagoas (MS), is undergoing an unprecedented modernization process in the history of the Brazilian electricity sector, along with Usina Ilha Solteira. The two hydroelectric plants are operated by CTG Brasil. It will be R$ 3 billion invested, within ten years, to reform 34 generating units – 14 of Jupiá and 20 of Ilha Solteira. The project also includes all the automation part and a new Generation Operating Center (COG), among other improvements that aim to bring more reliability to the country’s electrical system. “The modernization project reinforces our long-term commitment to the country, as we will deliver to Brazilian society two new, modern assets with a useful life to operate with availability and security for the next 30 years”, says the vice-president of Generation and Commercialization of CTG Brasil, Evandro Vasconcelos, which also highlights the important work of cooperation between Brazilian and Chinese professionals. Historical – With 1,551.2 MW of installed capacity, Jupiá generated, from the beginning of the operation by CTG Brasil, on July 1, 2016, 20,954,183 megawatts hour (MWh), sufficient energy to serve a city of about population of 2.6 million over the same period. The reservoir of the plant occupies an area of ​​330 square kilometers, bathing seven cities along 541 kilometers. The lake goes beyond the main purpose of securing water for energy generation, and collaborates to boost tourism in the region through nautical, fishing and leisure activities. The Jupiá plant started to be operated and managed in 2016 by CTG Brasil, which paid to the Brazilian government R$ 4.67 billion for the concession of 30 years. The Ilha Solteira plant was sold at the same auction, for R$ 9.13 billion. Together, the two HPPs make up the largest hydroelectric complex in the Southeast and Center-West regions, with a total installed capacity of 4,995.2 MW. Community – To strengthen enduring relationships with surrounding communities, CTG Brasil participates in several education, culture and sports incentive projects. By 2018, these initiatives have benefited more than 600,000 people. The investment in shares for 2019 already surpasses R$ 8.8 million, and a considerable part of this amount will be used to finance projects in the region of Jupiá and Ilha Solteira. “The well-being of the people living near the HPPs are among our priorities. We seek to participate in the life of these communities in a positive way, taking culture, leisure, quality of life and development through projects that are adherent to our values​​”, explains Salete da Hora, director of Brand, Communication and Sustainability at CTG Brasil. CTG Brazil released on Friday (February, 8)), 105 thousand fingerlings of the species pacu and curimbatás in the river São José dos Dourados, in the region of the reservoir of Ilha Solteira HPP. The mayor of Ilha Solteira, Otávio Gomes, was in place to accompany the release, along with the company’s technical staff. The action is part of the Program for Management and Conservation of Ictiofauna, conducted by CTG Brasil with the objective of repopulating and guaranteeing the diversity of fish in the Jupiá and Ilha Solteira hydroelectric reservoirs through the production and release of native species. The two reservoirs receive 2.1 million fish each year. The release points are authorized and determined by the Brazilian Institute for the Environment and Renewable Natural Resources (IBAMA). The native species used in the releases are produced at the Hydrobiology and Aquaculture Station maintained by CTG Brasil in Salto Grande (SP). The laboratory for fish reproduction occupies an area of ​​22 thousand square meters. At the site, research is also being developed, in partnership with universities. In addition to Jupiá and Ilha Solteira, the Station is responsible for releasing 1.5 million fingerlings per year in the eight reservoirs controlled by the company on the Paranapanema River. 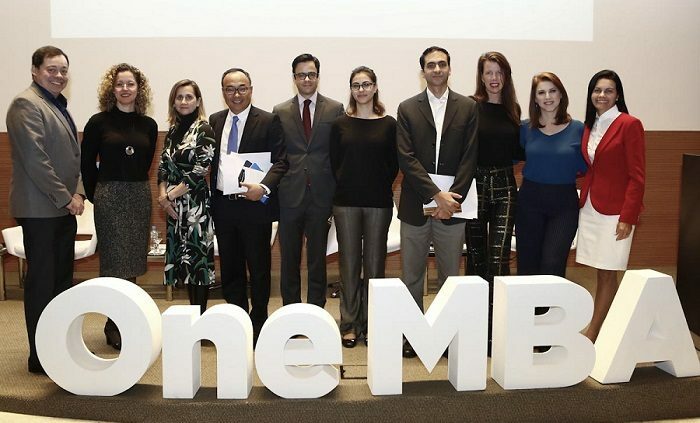 CTG Brasil CEO Li Yinsheng was honored during the presentation of the 100 Most Influential Energy Award, promoted by Grupo Mídia and Full Energy Magazine. Yinsheng and CTG Brasil were recognized in the category of Generation, Transmission and Distribution among other 300 personalities and companies from various segments of the Brazilian energy sector. For the definition of the winners, there was a vote on the website of Full Energy Magazine, market research and analysis of the magazine’s Editorial Board. “The award recognizes our commitment to efficiency and our management based on responsibility, ethics and transparency. We have a long-term commitment to Brazil and, for us, it is an honor to be listed in such a respected list, “said the CEO of CTG Brasil. The event, also known as the “Energy Oscar” in Brazil, was held in São Paulo (SP), on December 6. In the ceremony, honored personalities were honored in 2018 in the areas of Management, Industry, Energy Efficiency, Market and Business, Public Personalities, Quality and Sustainability, Reference, Sectoral Entities and Technology, Research and Innovation, as well as Generation, Transmission and Distribution . Draining the water from hydroelectric reservoirs is a normal and necessary procedure for level control in the rainy season. To check the discharge bodies (spillways, ducts and sluices) of the plants and ensure that they are functioning properly, CTG Brasil will carry out tests and inspections at the Jurumirim, Chavantes, Salto Grande, Canoas II, Canoas I, Capivara, Taquarucu and Rosana power plants, on the Paranapanema River, from October 5 to 24. Because of the tests, in this period there will be opening of floodgates, but it is important to point out that the operation is done considering the safety of the riverside communities. Therefore, it is worth emphasizing that the tests will not affect the day-to-day life of those who live around the reservoirs, since the floodgate openings will not be significant and the level variations will be minimal. “It is an important preparation that precedes the rainy season, which runs from November to April. The goal is to ensure that the mechanisms and systems of discharge of the power plants will be in optimal conditions of operation, when they need to be activated”, explains Evandro Vasconcelos, vice president of Generation of CTG Brazil. Also in the period prior to the rainy season, CTG Brasil will promote meetings in municipalities adjacent to the Paranapanema Power Plants to expose the operation of hydroelectric and reservoirs and explain the Emergency Operation System (SOSEm), a set of standards and procedures for operation and maintenance for periods of droughts and floods. CTG Brasil provides 2017 Regulatory Financial Statements of Rio Paraná Energia S.A. The document of Regulatory Accounting Statements for the fiscal year ending December 31, 2017 of Rio Paraná Energia S.A., one of CTG’s companies in Brazil, is now available for download. The document was prepared in accordance with the Brazilian corporate law and with the Manual of Accounting of the Electric Sector (MCSE in Portuguese). The document is avaiable in Portuguese. To access, click here. http://www.ctgbr.com.br/wp-content/uploads/2018/04/20170703ctgjupia_01diadrone020-2.jpg 562 1000 Salete da Hora http://ctgbr.com.br/wp-content/uploads/2016/05/logo-300x112.png Salete da Hora2018-07-05 21:20:582018-07-05 21:20:58CTG Brasil provides 2017 Regulatory Financial Statements of Rio Paraná Energia S.A.
“I am more used to talking about Brazil for Chinese, but today I am going to do the opposite: I am going to talk about China for Brazilians.” That is how Li Yinsheng started his presentation last Wednesday, 6, at the Challenges and Prospects for Brazil, event promoted by the Getúlio Vargas Foundation (FGV). The CEO of CTG Brasil participated in the debate Structural Bottlenecks: Education, Financing and Infrastructure, and had the opportunity to talk about his insights into infrastructure development in China in the past decades, touching on the interesting potentials that Brazil and China could explore together, under the context of One Belt One Road Initiative, that has been extended to this part of the world. He was of the opinion that more infrastructures are urgently needed in Brazil, not only to provide the capacity for future growth, but also to increase the interconnectedness within this country, to help people in less developed areas to become more productive workforces. “We need to be attentive to sustainable issues even when we are focused on growing and expanding our business. 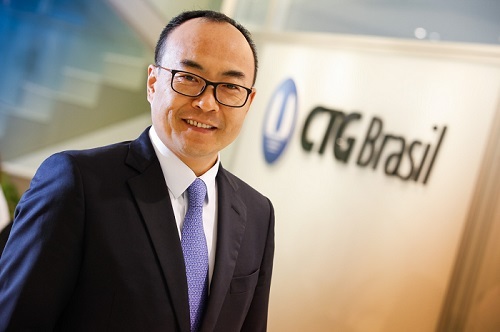 CTG Brasil carries the sustainability DNA from the roots of both China and Brazil, and we are committed to running a total sustainable business”, he commented. CTG Brasil, one of Brazil’s largest private power generators, announces Vitor Lazzareschi as the company’s new Commercial Director. The executive assumed the position on June 1 and will be responsible for the Marketing and BackOffice teams, focusing on the strategy of working with the Free and Regulated energy markets. 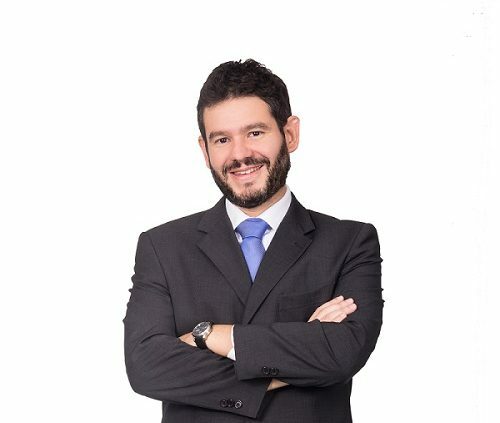 Graduated in Electrical Engineering from Universidade Presbiteriana Mackenzie, Master in Energy from the University of São Paulo, specializing in Government Relations and MBAs in Finance and Executive Management, Lazzareschi also coordinates the Technical Regulation Group of the Brazilian Association of Independent Electric Power Producers (Apine). He started worked at CTG Brasil as Regulatory Affairs manager, with the acquisition of Rio Paranapanema, position that he occupied since 2013. In this position he was liable for monitoring and internalizing the regulation of the sector. Previously, he held the position of Technical and Economic Advisor to the Board of Directors of CCEE between 2008 and 2010 and worked in ​​energy purchase and sale of CPFL. Lazzareschi will report to CTG Brasil’s vice president of Generation, Evandro Vasconcelos.